Miui 8 For Letv LeEco Le 1s . 1 Miui 8 For Letv LeEco Le 1s . 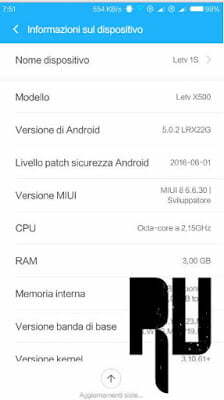 1.1 Miui 8 Rom For LeEco Le1s . 1.1.1 Update LeEco Le1s in Miui 8 . Using LeEco Le1s and Want Miui 8 for LeEco Le 1s ? if yes then you are at right place . Today we are here with the miui 8 update for LeEco le1s . Some days ago We posted about the Miui 7 For LeEco le1s and today we are here with the Upgraded Miui 8 for Le1s . Xiaomi Launched the miui 8 os globally on 20th june . The New os comes with many features like Second space , Cloned apps , Multi feature calculator and many more . The LeEco Le1s runs on Eui 5.0 which doesn’t comes with as much feature as the miui 8 comes with , So today we are here with Miui 8 LeEco Le1s . 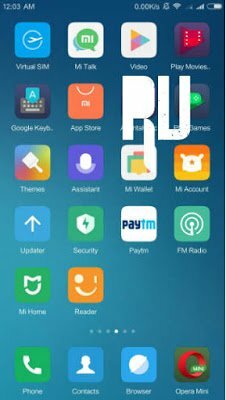 Miui 8 Rom For LeEco Le1s . Weather Enabled Notification Bar . Make Sure you are using LeEco Le1s . Make Sure There is TWRP recovery installed on your LeEco Le1s . The Device should be charged upto minimum 70% . Wifi or 3G is recommended to Download Miui 8 for LeEco Le1s . Update LeEco Le1s in Miui 8 . 1. First of all Download Miui 8 for Le1s . 2. Now Turn off your Smartphone . 3. After turning off Boot it into Twrp Recovery Mode . 4. Now Select the Following options . 7. Wipe Dalvik Cache . 12. Now select the Miui 8 custom rom for Le1s . 13. The installation will take some time to complete . 14. After the successful installation you will get Successful Notification . 15. Now Tap on Reboot System Now . Solve Gps Signal Not Found Error in Pokemon Go . 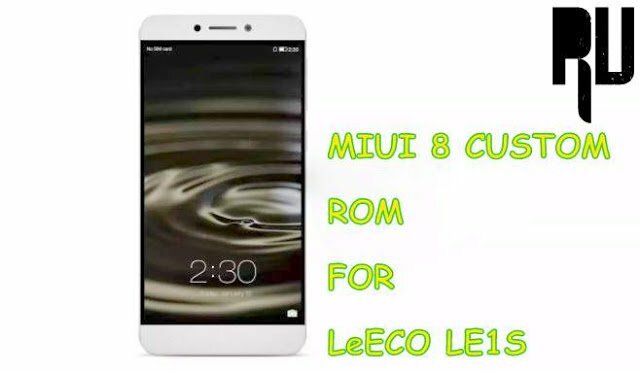 So this was our guide on Miui 8 custom rom for LeEco Le1s . Miui 8 is the best custom rom for Le1s , However Cm13 for leeco le1s is also rolling out soon . Cyanogenmod 13 for leeco le1s is also a good custom rom but when compared to miui 8 it lacks some features and the Miui 8 gets edge over Cm13 for LeEco le1s . is finger print sensor working?? what about le1s sensor , IR and FINGERPRINT ?? Ir, Fingerprint Sensor are working Fine in Miui 8 for LeEco Le1s . Fingerprint works fine???? And IS english available??? 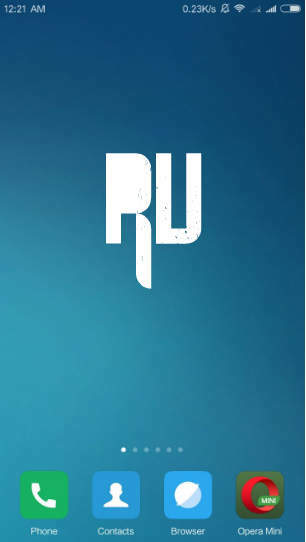 Hi ishu , Yes fingerprint works and as it is a Multi language Rom so English is also available . My le1s*507 runs in 5.8.017s…it possible to run miui8 on it? Hi Ema yes you can update your Le1s with Miui 8 . My Letv x507 runs on marshmallow recently 6.0 will this MIUI 8 still work in my letv?? Will VoLTE work on miui8?? Hi Ishu , Yes You can enable Volte on LeEco Le1s by using this custom rom . Hi Harshit, Yes you Can use Volte on LeEco le1s . Hi Gaurav , The rom is based on Android Lollipop . However if you want to upgrade to Marshmallow you can download the official Eui 5.8 based on Android 6.0 marshmallow . Finger print scanner not working. Plz give the solution…. Hello do the battery performance get better and are the headphone settings that come for mi mobiles is available??? Yes , It is better then the EUI . And yes comes with headphone settings . Hello , Saurabh this custom rom is only for LeEco Le1s . thanx harsh, could i get any info on how to install miui on my le 1 eco.. I m use le eco 1s eco (x509), I can update this ROM. Can I install miui 8 on this? will the fingerprint sensor,infrared sensor and volTE work fine with this? 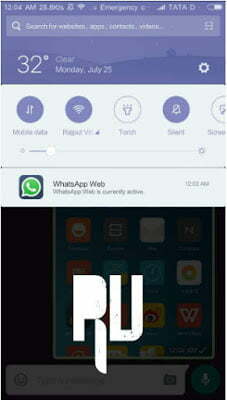 How to download this ROM bro.